Thank you for showing an interest in working with the Audrain County Sheriff’s Department. Below are listed the requirements that a successful candidate will have. Any other requirement determined necessary by the Sheriff’s Office. Conducts key counts for detention areas; performs inmate counts on a regularly scheduled basis; performs floor checks by entering different areas of the jail in order to ensure safety of both the inmates and facility; monitors fire, video, audio, and air handling systems to ensure proper functioning; performs outside perimeter checks. Distributes medication to inmates; operates medical devices; responds to and triages medical emergencies; distributes meals to inmates; separates and restrains individuals; extracts and rescues inmates from cells; counsels and mediates inmates; responds to inmates’ requests and grievances; has direct inmate contact; conducts inmate pat down and strip searches. Distributes and logs incoming and outgoing mail; accepts and records bail and fine payments, issues receipts, and arranges for release of inmates; writes bonds and accepts payment for bonds; accepts and monitors personal property and money for inmates. Transports inmates to and from court and medical appointments; maintains security and safety of inmates while outside of the jail facility; transports inmates to out of county courts and facilities; makes pickups from other correctional facilities; maintains and ensures the accuracy of all paperwork related to transport and transfer of inmates. Assists with public, attorney, law enforcement officer, court personnel, and clergy activities; performs walk-in arrests of individuals possessing outstanding warrants; ensures inmates receive regularly scheduled meals; provides clean clothes and hygienic products to inmates; distributes commissary items. Retrieves information about previous shift’s activities; attends staff and shift meetings; compiles and writes incident reports; prepares applications for warrant or on-view arrests; observes, documents, and repairs equipment. High School Diploma, or equivalent; 18 years of age or older; applicant must possess a clear criminal record, excluding traffic violations; must possess a valid Operator’s license at time of application and a valid Missouri Operator’s license at time of appointment. Successful individuals must be able to meet the strenuous physical demands of detention facility management, operate keyboard equipment, enunciate with radio traffic, and exhibit exceptional verbal and written communication skills. Applicants must pass a pre-employment drug screen. 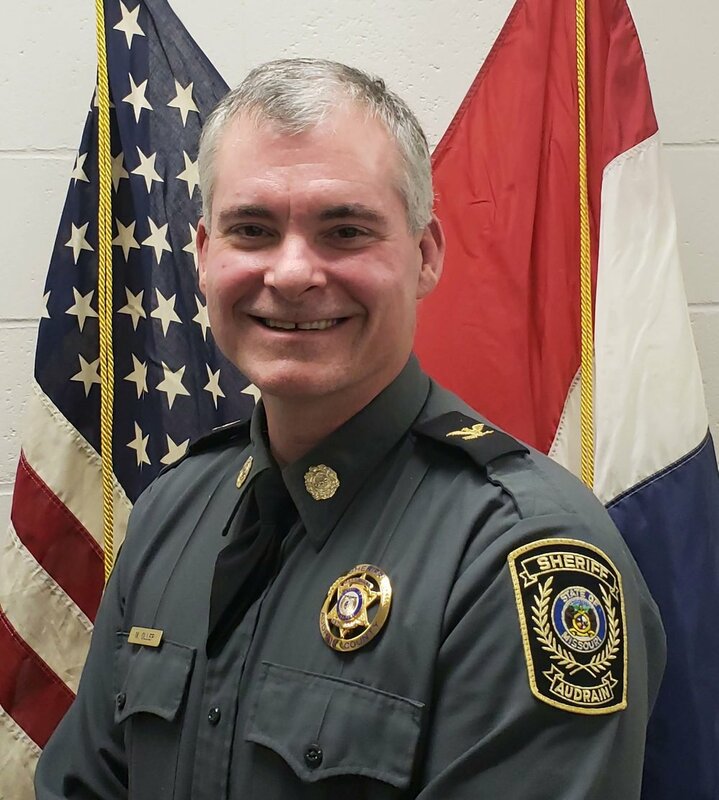 Conducts routine patrols in assigned area; conducts traffic stops; enforces statutory laws of the State of Missouri; responds to calls for service; communicates with victims, witnesses and suspects in cases; identifies and collects evidence; writes reports; performs follow-ups on investigations. Serves and enforces child and adult orders of protection; arrests law violators; transports prisoners; processes prisoners; testifies in court; serves arrest and/or search warrants; checks employee security at open and closed businesses; performs building searches; conducts traffic stops; issues traffic summonses. 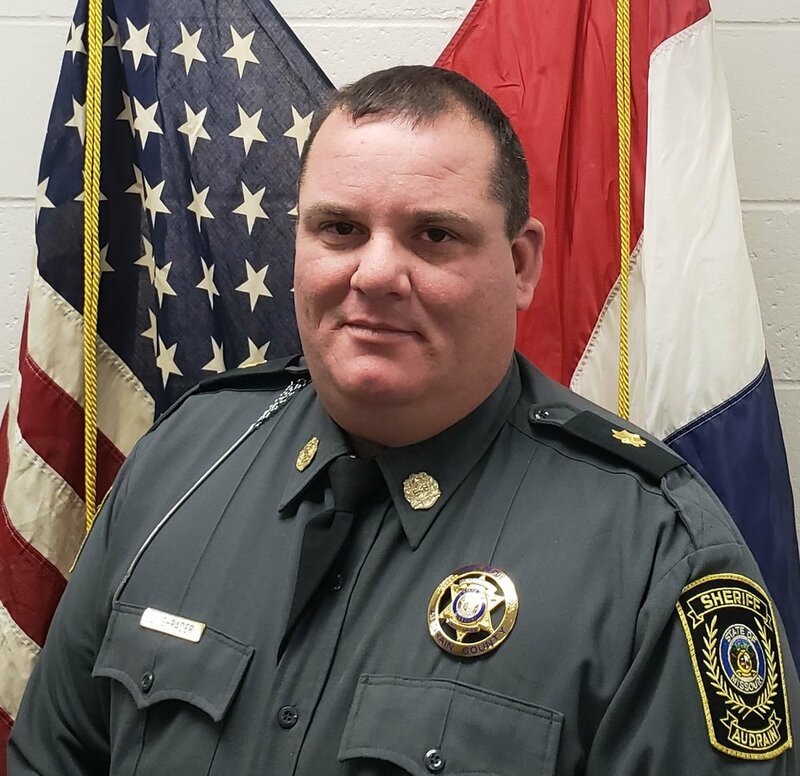 Assists other law enforcement agencies; assists the fire department and medical aides in emergencies; assists Corrections with inmates; handles citizen complaints; performs surveillance duties as required; serves probate warrants; transports probate arrests; performs vehicle maintenance; maintains other equipment. High School Diploma or equivalent; 21 years of age or older; clear criminal record excluding traffic violations; must possess a valid Operator’s license at time of application and a valid Missouri Operator’s license at time of appointment; must possess a valid Class A or B Missouri Peace Officer License or current enrollment in a police academy. Applicants must be able to meet the strenuous physical demands of law enforcement activities which include, at a minimum, the ability to engage in foot pursuits, to make forcible arrests, and to operate law enforcement equipment, including firearms. Must pass a pre-employment drug screen. The Audrain County Sheriff’s Office is an Equal Opportunity Employer.